Published fmSimpleCalendar to Github | frudens Inc. 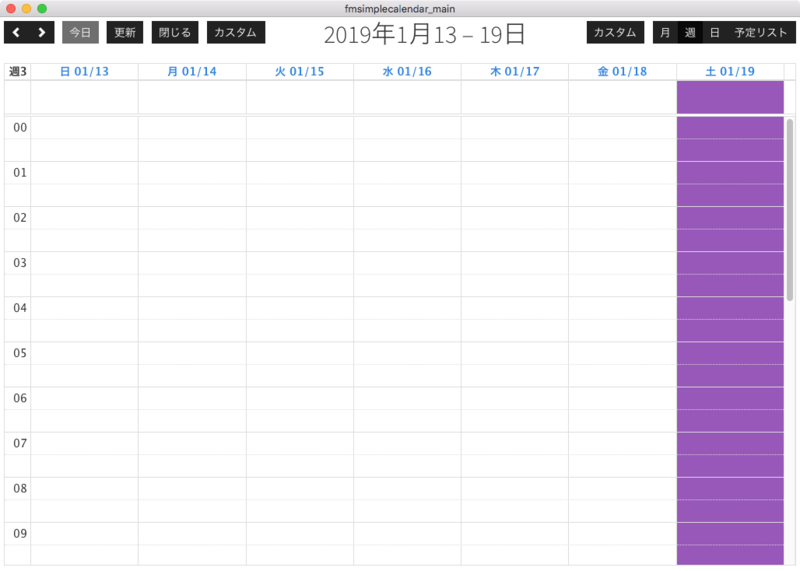 If OK comes from FileMaker, I will hold a webinar on calendar. We won “FileMaker Business Alliance Rookie of the Year” at FileMaker conference 2018 (Japan). We appreciate all the people involved, as well as customers who are indebted to us from day-to-day. thank you very much. We will devote more than ever. IoT, FileMaker Data API, Web integration related, if you have any problems please consult us. We will hold a webinar with the following contents, so please participate if you do not mind. Title: Let’s work with FileMaker Pro Advanced and Microsoft Graph API (Outlook)! Summary: In FileMaker Pro Advanced’s “Insert from URL” use the Microsoft Graph API to introduce the procedure for operating Outlook. If you can understand how to use API in this seminar, you can use API of various services as well as Microsoft. We will be holding various webinars (Japan) this year, so I would be pleased if you can participate. Things that are not very related to FileMaker are written on this blog, so please have a look if you do not mind. I am a Japanese developer. (I am studying English.) I met the FileMaker Platform at the company I worked at the time. Develop a custom App as an in-house developer. Acting as freelance from 2014 and establishing frudens Inc. in 2016. Recently, I use 'Insert From URL'. I enjoy FileMaker and various services in Integration! Pingback: fmSimpleCalendar is likely to be released | frudens Inc.